Have you upgraded to windows 10? Are you using windows 10 already or about to upgrade to it? Do you have friends that uses windows 10 on their PC? Whichever one you intend doing or about to do. 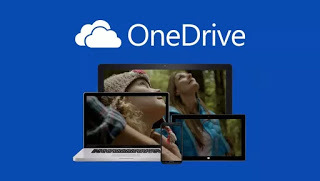 Here comes a Download link I have provided for Microsoft OneDrive for those using Windows 10. Microsoft decided to launch OneDrive UWP, which means (Universal Windows platform) app for those that uses Windows 10 on their PC and tablets devices. As of the time when this latest version has not been released yet, it have been that, Only Windows 10 Mobile devices uses the OneDrive application while that of windows 10 for PC uses a native sync support in the File Explorer and it requires the users on PC to go online always for OneDrive before they can view any files that belongs to them. What a long process. With the newly introduced OnlineDrive for PC on windows 10, one cannot undergo such processes again. The app is touch-friendly which can as well be seen as a web version of Microsoft's cloud storage located in a Windows Store application form. This also implies providing same web experience for those using tablets as well. This also go a very long way in letting users of Windows 10 to browse via their OneDrive accounts without the need of synchronization and also without the need to download all files and folders that belongs to them separately. √ SEE ALSO:Microsoft To Charge $199 From July If You Don't Upgrade Your Computer To Windows 10 Now. The very app OneDrive UWP do allow users of windows 10 to drag and drop files in order to upload them. Has ability to get the location of files shared by others, with same ability to restore files already in the drive recycle bin, also accesses the recent document which can be found on the system. To Download Microsoft OneDrive UWP App For Windows 10 click here.